Our flying field is located in Rankin County on a 20 acre site at Harrell Drive, Brandon, Mississippi 39047. This is approximately 1.5 miles southeast of Pisgah High School near Sandhill, Mississippi. We are registered with the FAA as a private airport (MS08). Click here for map. Click on Links tab above to see some videos of flying at Harrell Field. Click here for property plat survey PDF. Beginning in 1996 CMLF members began flying from Harrell Field with the permission of Charles Harrell, the owner at that time. Members were allowed to build hangars on the property at their own expense, but Charles Harrell always controlled the hanger as the property owner should. CMLF members during that time were concerned that Mr. Harrell would suddenly withdraw his offer to let us fly from his property. This was a significant deterrent to new hangar construction, and it limited the investment in those that were constructed. So, in September 2013, CMLF officers put together a comprehensive plan to purchase the property by using rent collections from the existing hangars to finance the deal. This was a milestone in CMLF history. Members can now build and fly without the fear of the landowner suddenly withdrawing that privilege. Below is a picture of the CMLF officers and other members who were instrumental in this effort. 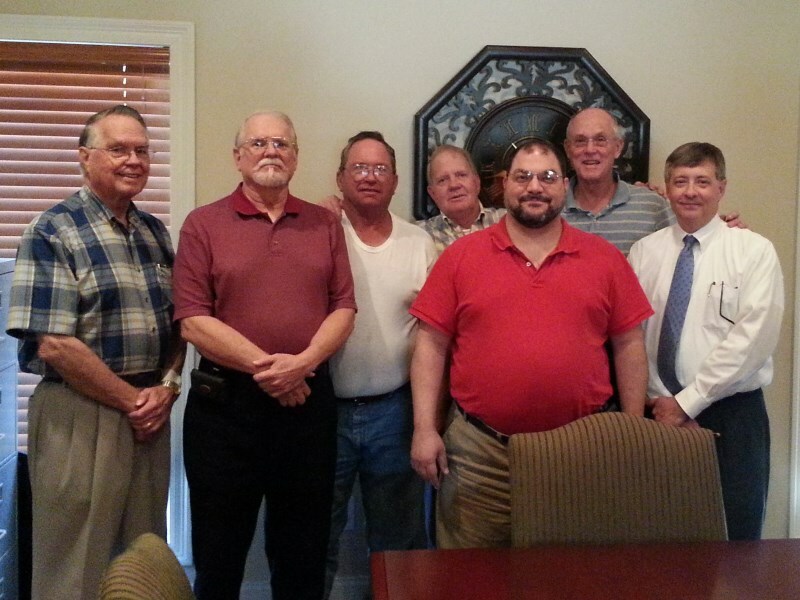 Pictured from left to right are John Ragsdale, John Price, Coley Richardson, Charles Harrell (landowner), David Boackle, Dee Gilliland, and Bill Lehr. Richard Vaughn missed being in this picture.